Finally, a fish recipe that does not involve salmon! Here I share with you my southeast Asian-style fishcake bites … perfect as an appetizer or for a finger food party. 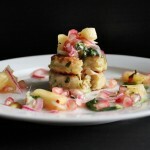 Serve with a sweet chilli dipping sauce and raw pineapple salsa. I had to try this recipe out for coz it’s so super easy, and I haven’t made dessert in a long while. 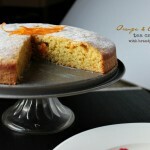 A unique recipe that uses an entire orange dumped into a food processor, skin and all, to make this amazingly moist cake by Annabel Langbein. Since I made smokey eggplant dip in my previous post, the only sensible thing to do is follow that with a crisp bread recipe. 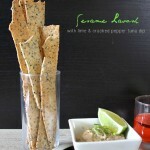 This is lavosh, a beautiful thin sesame crisp bread; the perfect accompaniment for all your fabulous dips at your next party. Borrowed this recipe from Annabel Langbein coz it looked too delicious to ignore. 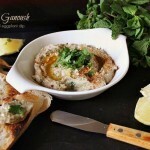 Mmmm … smokey eggplant dip! Perfect on toast and veggie sticks, this dip will definitely be a crowd pleaser. Vary the smokiness by adjusting how long you leave it on the fire for, and then simply blitz with the flavourings you desire. We are going full-on British this morning with a heaving plate of breakfast goodies, as we sit and await the verdict of the Scottish referendum for independence. 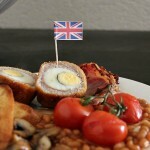 The boyfriend and I are sticking with the union, hence the breakfast fry up in a show of support for team GB. I wonder what No. 10 is serving up for breakfast this morning. Ayam Panggang Percik is a traditional Malaysian recipe that originates from the northeast, in the states of Kelantan and Terengganu. This recipe involves marinating chicken in a mix of aromatic herbs and spices for a few hours and then cooking it over hot embers of charcoal. But don’t worry, it can be made in a conventional oven, just like the one I did today. 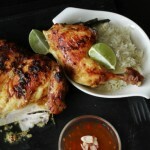 If you like southeast Asian flavours then you have got to try this recipe out. It has been a while since I felt this good about making quiche. Usually I use store bought pastry but today I was happy to make my own buttery short-crust dough … it makes a lot of difference. Made myself some beautiful salmon and spinach quiches, and with the leftover dough I made a bacon and leek one for the boyfriend. Isn’t it perfect when you find yourself stuck with the prospect of no food and then come up with an awesome dish out of thin air in the end? This is one of those dishes … with a little help from a friend. 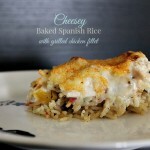 Baked Spanish rice and grilled chicken with a creamy cheese sauce poured on top. Mmmm … doesn’t that sound divine? Turkish Pide with two fillings. Pides are Turkish-style pizzas, filled with all manner of savoury fillings. They are a popular street food and can easily be made at home using pizza dough. 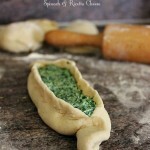 I don’t have the exact recipe for a traditional pide dough so I simply used pizza dough for this recipe. 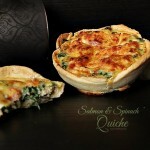 Very delicious and great for parties and picnics. In this post I have made a vegetarian and a meat filling. 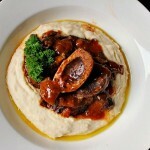 Osso buco is a rustic Italian dish made by braising veal shanks over a long period of time. The meat turns luxuriously fork tender and the bone marrow gets all gooey in the center. I have been meaning to feature this dish on my blog for ages, and so finally, here it is. This is my contemporary version of a Milanese classic, served over a mound of white bean puree.